The 4’ Natural Cedar Porch Swing, Amish Crafted is similar to the 5’ Natural Cedar Porch Swing, Amish Crafted, the only difference between them being the dimensions. 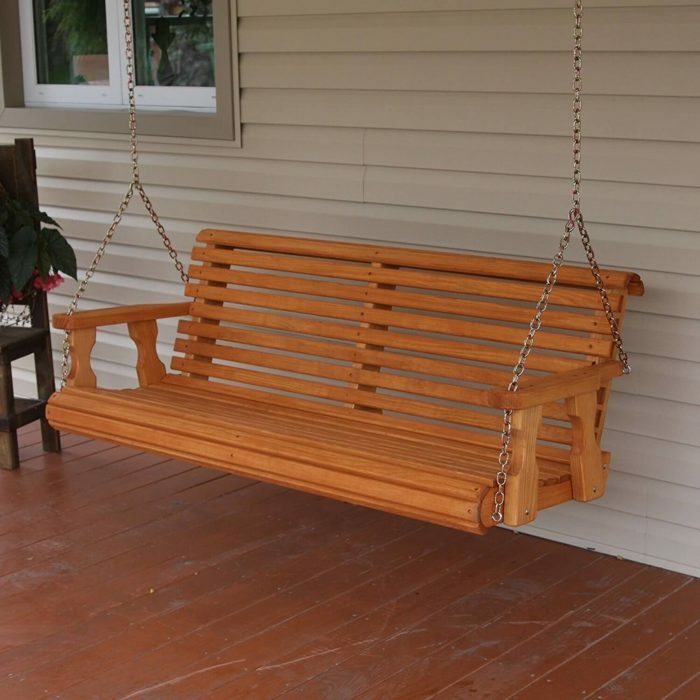 Read more about best porch swing reviews here..
As stated earlier, the 4’ Natural Cedar Porch Swing, Amish Crafted is extremely comfortable due its light weight and contoured design. The swing is quite durable as well and gives a rustic look to your vintage porch. Build and construction: The 4’ Natural Cedar Porch Swing, Amish Crafted is made out of Western Red Cedar wood which is light in weight and thoroughly resistant from rot and insects. It can be used in any weather and can be covered with a finish. Weight capacity: The weight capacity of the 4’ Natural Cedar Porch Swing, Amish Crafted is 550 lbs and the dimensions of the same are 23″ high x 50″ wide x 27″ deep, with the seat surface being approx. 18″ deep x 46″ wide. Comfort: The contoured design and the light weight of the material used provide extreme comfort and relaxing experience. 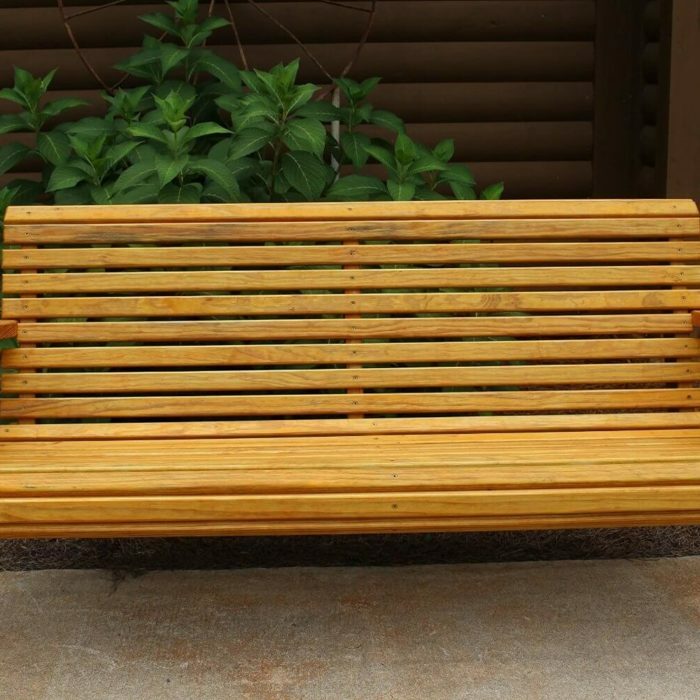 Durability: The wood does not cut, warp or split easily, is rot resistant and weather proof. This makes this swing extremely durable. You can finish this with a coating to protect it from harmful UV rays to enhance its longetivity. 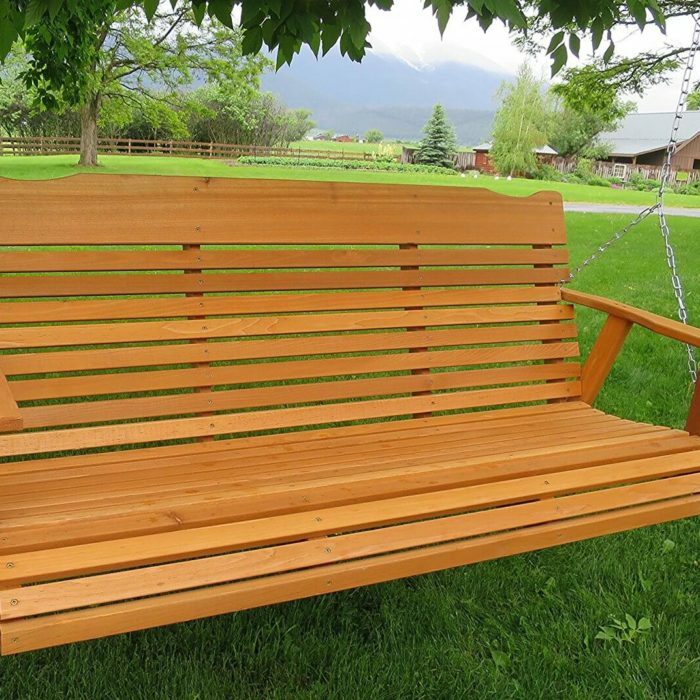 As discussed earlier, the 4’ Natural Cedar Porch Swing, Amish Crafted forms our budget pick. The reason for the same is the extreme comfort, durability and performance given by the swing. Plus, you get all this within an affordable price. The wood used provides longetivity to the swing, the contoured design provides comfort and 2 people can be seated easily on it.